Existing Membership administrators can authorise other users at their level of the database and below. There is no limit to the number of administrators that can be granted access to a database. 1. Sign in to SportsTG Membership at the Association level. 2. Click on the Settings cog in the top right corner and from the drop-down menu select User Management. 3. Under 'Grant a user access', enter the new user's Passport email address (this must be the email address connected to their Passport account) and click on Add. 1. Sign into Membership at either the Association or Club level. If you have logged in at Club level, skip to step 4. 3. Click on the View icon next to the club for which you want to authorise an administrator. 4. The club's 'dashboard' will open. Click on the Settings cog in the top right corner and from the drop-down menu select User Management. 5. Under 'Grant a user access', enter the new user's Passport email address (this must be the email address connected to their Passport account) and click on Add. 1. 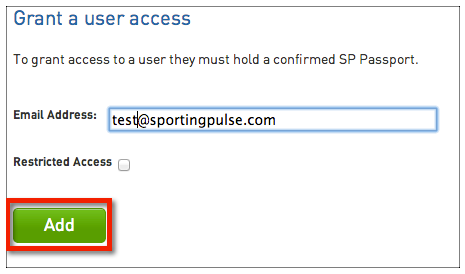 Sign into SportsTG Membership at either the Association, Club or Team level. If you have logged in at the Team level, skip to step 4. 2. If you have logged in at the Association or Club level, click on Teams in the menu. 3. Click on the View icon next to the team for which you want to authorise an administrator. 4. The team's 'dashboard' will open. Click on Settings in the main menu and from the drop-down menu select User Management. 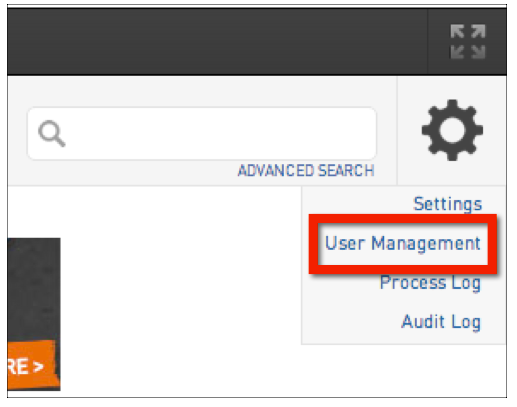 The User Management screen will allow you to manage the administrators that have access to your database. A. Entering the Passport email address of a confirmed Passport user in this field and clicking on Add will grant the user access to the database via their Passport account. B. Ticking the Read Only Access box will give that user the ability to sign in to the database to view information, but they will not be able to edit, add or delete any data. C. Clicking on Delete next to a user's name will remove the user's access to the database. When they sign in to their Passport account they will no longer see the link to log into the database.